Do you find it challenging to pull yourself out of bed in the morning? Are you living on that triple shot Caramel Macchiato? Are you tempted to nap every afternoon? Does your body protest when your brain feels like exercising? 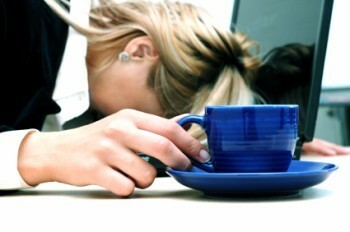 Do you feel like fatigue is all that separates you from your mojo? Truth is, more than half the population reports feeling tired often, and as many as 80% of women around the age of menopause say they are tired most of the time. I understand. Been there. Felt that! I have a solution (Okay, heres your commercial except Im not getting paid for it LOL) A way to get started thats easy delicious and will help to get your mojo back! For some reason, the idea of green drinks scares some people. I dont know if its because they think they dont like veggies; or they think they need some kind of perfect recipe like Dr. Ozs Green Drink Recipe or well, I dont know the other or. I just know green drinks scare people and they shouldnt. First of all, theyre delicious! Seriously TASTY! Secondly, you can make them with any combination of veggies (and a bit of fruit for sweetness) that you like. Because I know so many people are skerred to get creative with their green drink, I thought Id occasionally post the recipe, or lack thereof, that Im drinking that day. 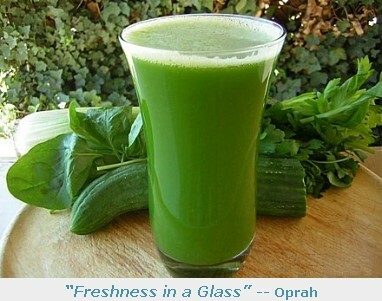 2 Comments on "GREEN DRINK OF THE DAY"
Why dont you put in the Vitamix? I have a blendtec: couldnt I just use that? .-= David Burchs last blog ..dasBlog: an open source blogging platform for ASP.NET 2.0 =-.